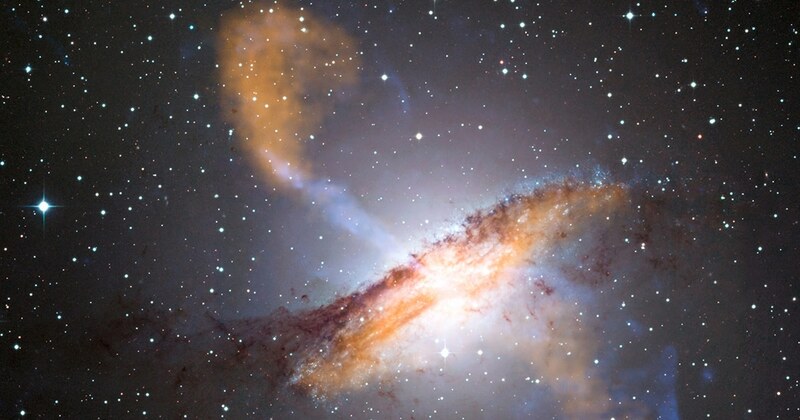 Black holes are found at the centre of most, if not all, galaxies. The bigger the galaxy, the bigger the black hole and the more sensational the effect it can have on the host galaxy. These supermassive black holes drag in nearby material, growing to billions of times the mass of our sun and occasionally producing spectacular jets of material traveling nearly as fast as the speed of light. These jets often can’t be detected in visible light, but are seen using radio telescopes. Astronomers need your help to find these jets and match them to the galaxy that hosts them. With Galaxy Zoo Radio, citizen scientists tag radio jets shooting out from galaxies. The team then uses this information to understand galaxy evolution and how their central black holes form and evolve over time. The sheer scale of the jets is awe inspiring. Galaxy Zoo Radio is part of Zooniverse. The world’s leading ‘citizen science’ platform brings together people from all walks of life, from all over the world, to answer our biggest global challenges. AtlasAction: If you’re interested in supermassive black holes, get classifying now. Learn more ► Galaxy Zoo Radio was mapped by Dr. Laura Trouille, Senior Director of Zooniverse in her AtlasChart Top 5: Life, the Zooniverse and everything. Tags: Awareness raising, Big data, Citizen Science, Communication, Community, Crowdsourcing, Data, Environment, Mapping, NASA, Open source, Space, Zooniverse.